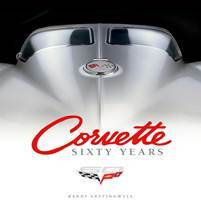 Through hundreds of rarely seen photos and an in depth text by renowned Corvette historian Randy Leffingwell, Corvette Sixty Years celebrates the first sixty years of America’s sports car, covering the revolution and evolution of America’s longest continuously produced nameplate from Harley Earl's initial concept to the latest 60th anniversary edition built to celebrate the Vette's sixtieth year. Created in cooperation with General Motors, the book focuses as much on the Corvette’s place in popular culture as it does on the engineering and design history. This book offers something for everyone who has ever lusted after a Vette. From the inaugural 1953 Corvette to today’s stunning sixth generation car, Corvette Sixty Years touches on all aspects of Chevrolet’s iconic sports car: history, racing, period advertisements, memorabilia, key designers like Bill Mitchell and engineers like the fabled Zora Arkus-Duntov and celebrity Vette fans, and more. For Corvette fans, it’s an ultimate celebration of America’s most famous car. Randy Leffingwell (Santa Barbara, CA), best-selling author and top-notch photographer, has earned a reputation as one of the most thorough Corvette historians working today. He has written and photographed over two dozen books on topics ranging from tractors to motorcycles to cars to barns.